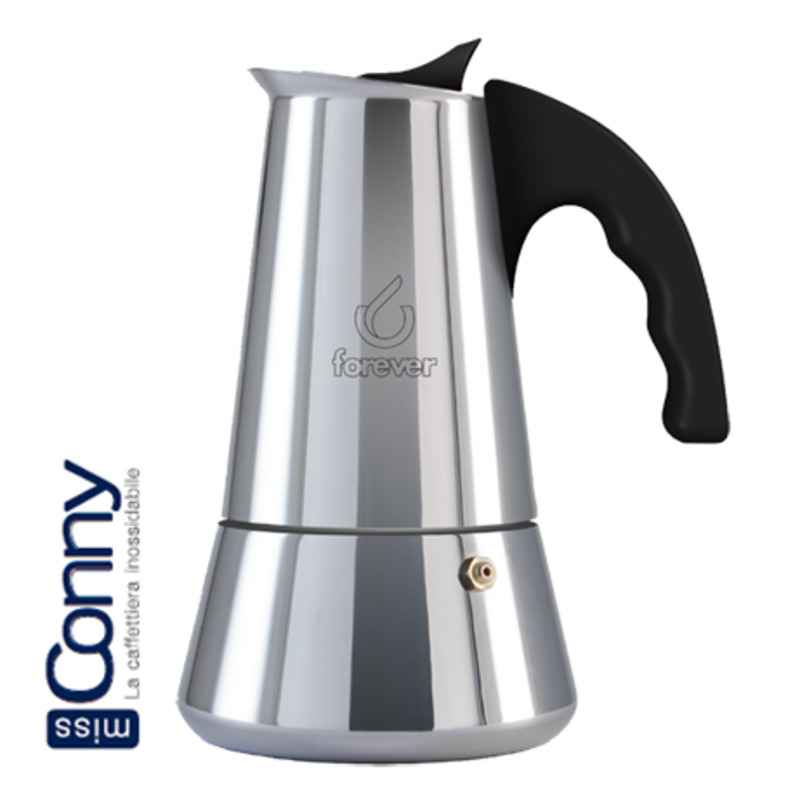 Long-lasting and indestructible coffee maker made of high-quality stainless steel. To prepare coffee in this device all you need is finely ground coffee, water and a heat source. This coffee maker is suitable for gas cookers, ceramic plates, electric or induction hobs. Cold water is poured into the lower part of the coffee maker, then it is covered with a strainer filled with ground coffee. The water boils, the steam penetrates under pressure through the ground coffee and ends up in the upper part of the device. Coffee is ready within minutes. Ergonomic grip made of plastic that is resistant to high temperatures. Tough and reliable. Stainless steel: this coffee maker is unbelievably robust and maintains its look for many years. It is also dishwasher safe.